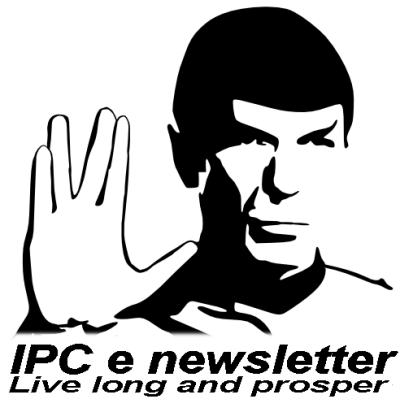 Welcome to the March 2015 edition of the IPC e-newsletter. The IPC e newsletter is distributed free to more than 4000 people around the world. The lead content of all decorative paints sold and used has been strictly regulated in developed countries, including Western Europe and North America. However, Asian paint makers just recently started paying attention to toxic elements in their products. A recent market survey by IPEN revealed that lead concentration in all paints made by Kansai Nerolac, Asian Paint, ICI/AkzoNobel, Shalimar Paints and Berger Paints was found to be below 90 ppm. However, the survey also showed that the lead concentration in the paints manufactured by most of the unorganized sector players was far higher compared to the permitted limits. A study conducted in 2013 revealed that the explored economic effect of lead exposure in children on national economies in all low and middle income countries has an estimated total cumulative cost burden of $977 bn. A cumulative economic loss in Asia was $699.9 bn. Because of lead exposure to paints, India loses $236 bn/y. A voluntary standard that limits the lead content of decorative paints in India has been issued by the Bureau of Indian Standards (BIS). The Indian authorities modified the standard from 1000 ppm to 90 ppm in early 2014. The former Akzo Nobel site in Ardsley is under review to clean up cancer-causing pollution. Jefferson at Saw Mill River LLC wants to remediate 1 Lawrence St., the site of chemical manufacturing from 1938 until the late 2000s. The site is still owned by Akzo Nobel, which relocated to Putnam County. The 10.8-acre property is empty except for former building slabs and foundations for the former chemical plant. The lot's soil and ground water are contaminated with various chemicals, including benzo(a)pyrene, PCB-aroclor 1254 and tetrachloroethylene (PCE). Asian Paints, which dominates the paint market in India, has decided out step out of its comfort zone. The paint maker has identified home improvement and decor segment as an avenue for future growth. "It has synergy with the existing line of our decorative paints business. We have already entered in kitchen and bathroom segment with all possible modern products during the past few quarters. The business is marginal now. But it is a focus area. Over a period of time, it will emerge as a significant revenue contributor," said Amit Syngle, president (sales, marketing and technology). Asian Paints will leverage its existing retail and distribution network for the new product segments, said Syngle. Calcutta, Feb. 24: Asian Paints is looking to scale up its domestic operations by setting up a facility in South India. The company has planned an investment of Rs 2,300 crore to set up an integrated plant and has zeroed in on Karnataka and Andhra Pradesh. "To meet the demand in the southern and eastern parts of the country, the company is exploring the possibility of setting up an integrated paint manufacturing plant in Karnataka and Andhra Pradesh. The company is in advanced stages of negotiations with the respective state governments. 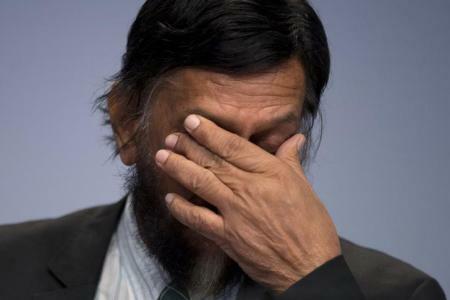 The company will decide the location of the plant based on the availability of land, other factors and regulatory approvals," Asian Paints today said in a statement to the BSE. The report "Paints & Coatings Market by Resin Type (Acrylic, Alkyd, Epoxy, Polyurethane, Polyester, Others), by Technology (Waterborne, Solvent borne, High Solids, Powder & Others), by Application (Architectural, Industrial) - Global Forecast to 2019", The global market value of the Paints & Coatings Market is projected to be around $181.3 Million by 2020 and is projected grow at a CAGR of around 5.0% between 2015 and 2020. V V Titanium Pigments, a leading producer and exporter of Anatase grade Titanium Dioxide, is planning to invest Rs 100 crore as a part of its expansion strategy into a Coated Rutile Plant. This is one of the largest investments made by any private entity exclusively for meeting the demand of discerning Indian Tio2 consumers. The Coated rutile plant is expected to be operational by 2016 first quarter. This is the second time when VVTi has forayed into value–addition of Heavy Mineral Mining with a capacity of 15000 MTPA Tio2. As a part of this project, VVTi has successfully launched Basic rutile by Decemer 10, 2014. PPG Industries’ industrial coatings business has introduced ENVIROCRON® HTE (high-transfer-efficiency) powder coating, featuring a proprietary bisphenol A (BPA)-free polyester formulation that has a faster application build rate than traditional polyester coatings while providing more uniform coverage on complex parts and surfaces and reducing material waste. Liquid and powder coating maker Axalta Coating Systems has inaugurated a refurbished technology and R&D center in Apodaca, Mexico for the company’s powder coatings operations. The center is expected to provide expanded capabilities for Axalta's sales, product management and technical services to provide better quality and service to Axalta customers in Mexico. ROCHESTER, NY - Scientists at the University of Rochester have used lasers to transform metals into extremely water repellent, or super-hydrophobic, materials without the need for temporary coatings. With antibiotic resistant microbes on the rise, plenty of researchers are looking into ways of thwarting the stubborn little devils. Scientists are working on everything, from air cocoons and electrical implants, to many other complicated alternatives. Now the most recent solution? A non-stick coating for medical devices. Common Defects of CED Coatings. Electrocoating provides a decorative and protective finish. Common coating defects may adversely affect these properties, so it is important that electrocoat users develop basic, effective troubleshooting skills. PITTSBURGH, Feb. 19, 2015 - PPG Industries (NYSE:PPG) today announced the appointment of Michael H. McGarry , currently chief operating officer, to president and chief operating officer, effective March 1. McGarry became chief operating officer in August 2014.